You have desired to install new hardwood floor in the living room since weeks ago but there’s still hesitation to make it comes true since you have active dogs which love to run and play inside. You’re afraid if your dogs’ claws and nails will scratch your elegant hardwood floor and cause permanent unattractive marks. You’re not alone; there are other pet owners who think the same! So, it’s obvious that households with pets will love not only durable but also scratch-resistant hardwood floor covers. It’s a sort of flooring option that suitable for busy family and pet lovers. Hardwood flooring is well-known for its warmth, elegance, natural beauty and sturdiness yet this floor cover still has disadvantages such as the possibility of being scratched and stained caused by pets, table and chair legs, shoes and heels also accidentally water spills. In fact, totally scratch-proof hardwood flooring hasn’t been yet offered in the market. When it comes to search for scratch-resistant wooden floors, you can use some harder wood species and engineered hardwood flooring products. 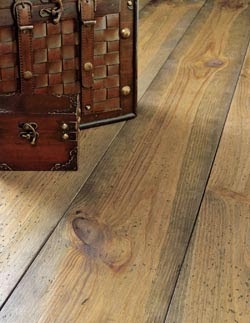 Wooden floor cover that made from hardest American wood species like oak and maple will be less prone to scratches. Besides the selected wood species, flooring experts at the reliable store will suggest you to choose only wood floor product that has been engineered to endure common depreciation. Thus, to obtain the most scratch-resistant value, make sure to apply the hardwood flooring product made from hardest wood species with quality engineered finish. Enjoy the strongest hardwood floor surface! Definitely when you have pets like dogs or cats in the house and has hardwood floors, it is recommended to choose the most appropriate type of wood for traffic at home, also have the recommended care that gives you the professional, excellent article.